Turns out, you can be the chief executive officer of a major credit reporting agency that just suffered a massive data breach affecting nearly half of the country and still walk away with $90 million. 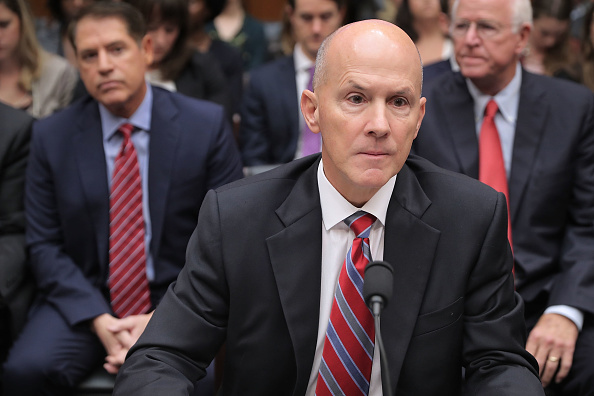 It was recently announced that Equifax CEO Richard Smith would retire effective immediately. The company said he would not receive a bonus for this year. Smith collected a $3 million bonus in 2016. However, the former CEO is eligible to collect $72 million this year. The 57-year-old can also cash in on an additional $17.9 million over the next few years when his stock compensation hits a few important milestones. Equifax uncovered the security breach in late July, but waited 40 days to publicly disclose the information in the beginning of September. The hack affected the personal identifying information of an estimated 143 million people—more than half of the United States’s adult population. It was also stated that Smith, who joined Equixfax in 2005, will remain in an unpaid role for the next 90 days to assist with the company’s transition. According to Equifax’s security filings, his total compensation for 2016 was $14.9 million. “Speaking for everyone on the board, I sincerely apologize,” said Mark Feidler, the new Equifax board chairman. Feidler also added that the company had created a special committee to investigate the breach. The company’s stock had lost 26 percent of its value since the early September announcement, and finally saw an uptick after the news of Smith’s retirement.